It is time to start thinking about Valentine Day! Today I have some Printable Valentine Coloring Book Pictures for you. These pictures are great for preschool or even kindergarten age. They have little lovebugs on them….super cute and super fun! Some of these coloring pages actually are quite detailed and would be great for little hands working on fine motor. Another thing you can use these pages for are for cards to give to loved ones. You can use a piece of construction paper, if you wish, and glue the colored paper on top. These will make a cute gift for loved ones! 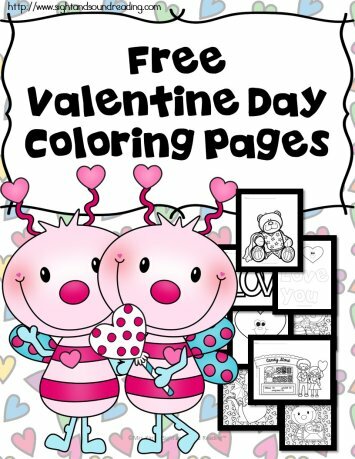 Go get your printable valentine coloring book pictures now! Enjoy! Simply click here or the image above to check out this freebie from Sight and Sound Reading now!